Playing sports, riding skateboards, or teeth grinding can lead to serious dental damage. Wearing a mouth guard can help protect the smile from unforeseen dental injuries and the wear and tear caused by chronic teeth grinding. General dentistry treatments can also help protect oral health and keep your smile at its best for many years to come. To find out if you're a good candidate for a mouth guard, schedule a consultation at our New York, NY practice, Harlem Center for Aesthetic Dentistry. A mouth guard is a dental device worn to protect the teeth from damage, like those caused by sports-related injuries, or to provide relief from certain oral health issues. There are different types of mouth guards that offer various levels of protection for the teeth and soft tissues of the mouth. Mouth guards may be purchased over-the-counter, or a dentist can provide you with a custom-made appliance. Those who want the highest level of protection are good candidates for custom-made mouth guards. Custom mouth guards are also more comfortable because they are designed to meet the unique needs of each patient. Athletes: Many athletes, especially those who play contact sports, benefit from wearing mouth guards. Mouth guards can help protect the teeth in the case of a sports-related accident, which can cause chips and tooth loss. Even those who participate in extreme sports, like skateboarding and BMX bike riding, are prime candidates for dental mouth guards. Those who grind their teeth: Chronic teeth grinding, also called bruxism, can lead to serious dental damage, including enamel wear, tooth decay, and fractures. Those who suffer from bruxism can protect their teeth and gums from dental damage by wearing a mouth guard. Temporomandibular joint disorder sufferers: Temporomandibular joint disorder, or “TMD,” is a condition in which the jaw joint doesn't function properly. This can cause painful symptoms, including neck pain, headaches, and difficulty chewing. 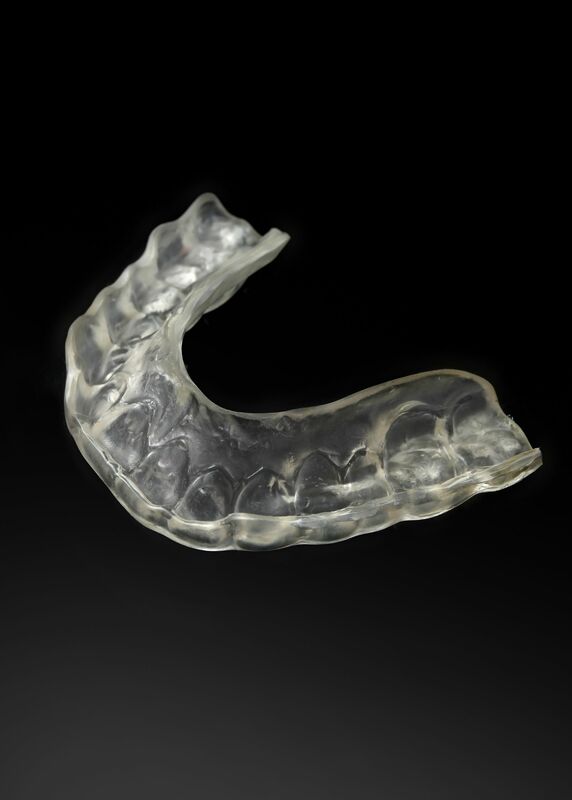 Wearing a mouth guard during sleep can help patients who suffer from TMD. Wearing a mouth guard offers many benefits to those who require additional dental protection. Mouth guards can prevent sports-related injuries, protecting the teeth from chips, fractures, and tooth loss. Patients that chronically grind their teeth benefit from wearing a mouth guard because these devices provide protection against the damaging effects of bruxism. TMD suffers may also benefit from wearing a mouth guard, finding relief from painful TMD symptoms. To find out if a mouth guard can benefit you, schedule a consultation at the Harlem Center for Aesthetic Dentistry.